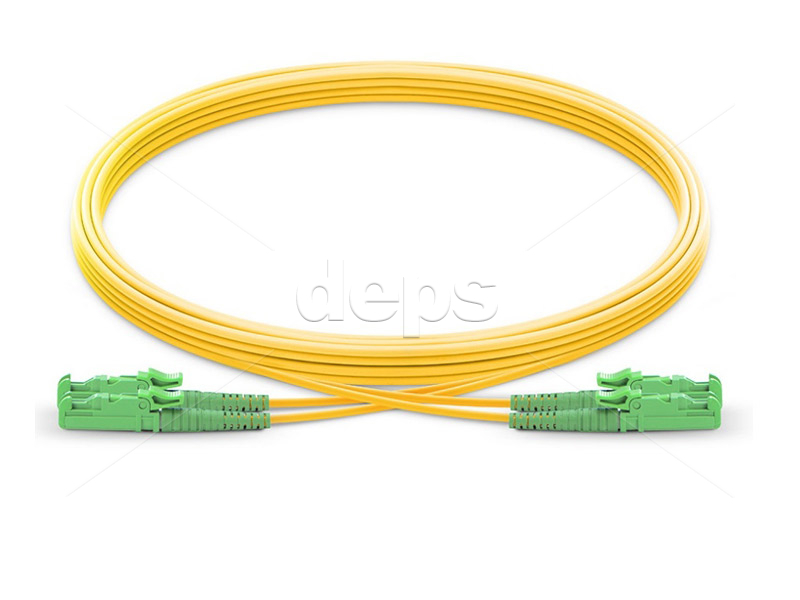 These patch cords are simplex or duplex pieces of cable of certain length and external diameter, terminated from both ends with connectors E2000. Connector E2000 is a project of the Swiss company Diamond. 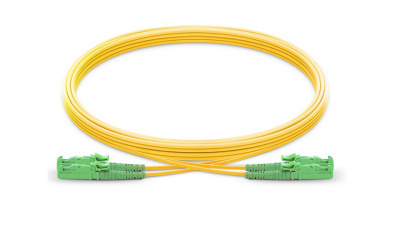 Connector was specially developed for modern high-power DWDM solutions. It has an automatic shutter, which opens at switching on and protects users from laser light. Furthermore, shutter protects ferule’s contact surface from dust. It is especially important, as the destruction of glass ends of high-power connectors is considered to be mainly caused by ingress of tiniest metal particles in modal spot area.